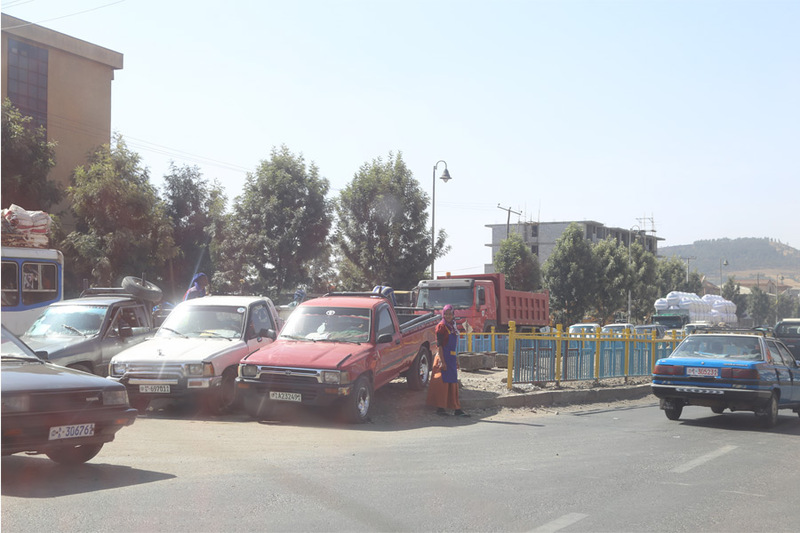 In the middle In the middle – (Addis) Fortune – The Largest English Weekly in Ethiopia! Pickup trucks are parked in the middle of the half-built light rail zone on the road in Jemo. Pickup trucks are parked in the middle of the half-built light rail zone on the road in Jemo. The truck drivers are waiting for contractual job offers but, meanwhile, block other vehicles from making u-turns, causing a small traffic jam.